I wrote this poem a long time ago. Please don’t be sad. I dug this up because I had a tarot card reading the other day and the woman explained to me that my daughter, whom she did not know about, is the one who is causing doors to slam, footsteps in the hall, cold spots in the house, door handles jiggling, voices that more than one of us hear at the same time, what felt like knees in my back from the backseat of the car, seeing “shadow children,” and the TV turning off and on. I was told she is a prankster and likes to hide things on my son’s girlfriend just to mess with her. I asked Nic if her things go missing when she is here, without explaining what I knew. She said yes. She puts things in places and later they are moved. I am fascinated by all of this. It brings me peace and comfort to think that she has been with us off and on. I will forever cherish that information. It makes me feel that after all this time, I never really lost her. This was my first ever tarot reading and I almost didn’t do it. I had wanted a palm reading instead but they were too busy. I guess it was meant to be. For further information about my tarot reading, keep an eye on my other blog site, Where The Ghosts Live – The Haunted United States ~ Missy Bell. This just leaves me with goose bumps!! and what a wonderful thought to think of the amazing life your daughter has chosen to re-enter this world through. Thank you Peggy. her name would have been Caitlin Joyann Bell. I love to know that she is a prankster and is with us. That knowledge brings me comfort. 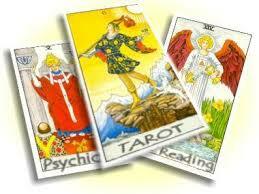 I am a professional tarot reader and I always love when my readings make an impact on the querant. Love this post! Thank you Karin! This reading was amazing. Robyn went on for much longer than the scheduled time. She kept saying that there was so much that was coming across. This was not the only thing she told me that was life changing. I’ll go into further detail more on the reading after I listen to the recording at my other blog site, http://www.WhereTheGhostsLive.WordPress.com. Thank you for stopping in and commenting. I’m so inspired by this post. It will be interesting to see how your daughter re-enters this world. I’m sure she’ll make her presence known to you. I was told it will be through someone close to me as spirits tend to stay with those they know. I have two sons but she didn’t see her as my grandchild. It should be interesting. I’m hoping this will also bring comfort to others. I saw you just tweeted it. Thank you! What a really moving story. Thank you for sharing it. It’s really wonderful to think of your daughter preparing to be born somewhere close to you and that she’ll still be part of your life, albeit in a possibly unknown way. I can’t even imagine what it must feel like to have a miscarriage. I never had children – I would have loved it I am sure – but the thought that as yet unborn children can chose what families to be born into is comforting in some way. Thought provoking post, thank you. I appreciate your response. Thank you. I’ll never know who she is when she is here I’m sure but it’s nice to feel that she is ready for life and chose this time period. The whole idea that we are cosmically connected through several lives fascinates me.